Growing up my parents would constantly share how important it is for my siblings and I to gain an education. They would share the challenges they had to overcome growing up in Somalia, in order to achieve a higher education. My father would share how he and his friends would study under trees during the day—under the shade from the sun and better than their homes that were not equipped with study spaces. In the evenings they would study in public parks where there would be streetlights. As a kid, I never took their stories seriously and even found them to be farfetched. 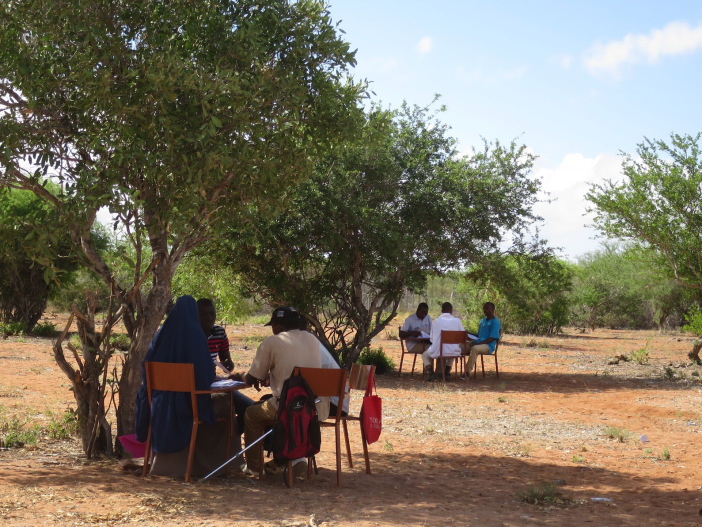 As I watched students studying in Dadaab under trees, it reminded me of my parents’ narratives. I felt a sense of overwhelming guilt and shame and around the 4th week of our time in Dadaab, I sent my parents a long email, sharing with them my gratitude for the opportunities they have provided me with. Their fight for higher education has paved the path of my road to higher education. Upon my return, I shared with my parents the obstacles that I saw in Dadaab and how I met students who reminded me of their experience growing up and who were working under harsh circumstances for an education. My dad shared with me that Somalis have always viewed education as a means to improve their situation and to move forward. Working with BHER and assisting our students to the best of our abilities, has reminded me of how powerful education can be and I believe this project will pave an alternative path towards achieving a higher education within an emergency zone. Kheyro dreamed now of university, diplomas, of Nairobi, Canada and even London. But the road to further education ran through Dadaab, not Somalia. ‘There’s nothing for me there’, Kheyro said. After years of lobbying and planning, Kenyatta University in Nairobi, tried of the restrictions on refugee students who wanted to take its courses, had decided to come to them. In 2013 it opened a campus in Dadaab. A project with York University in Canada called Borderless Higher Education had also just started issuing online diplomas in the camp. When the new semester started next year, Kheyro was determined to enrol.